The Cascade Locks Marine Park is the home port for the Sternwheeler Columbia Gorge. The Sternwheeler is owned by the Port of Cascade Locks and operated by the Portland Spirit. Sightseeing cruises on the Columbia River depart from the Cascade Locks Marine Park several times per day, May through October. Guests can enjoy memorable one or two hour narrated sightseeing excursions, weekend champagne brunch cruises, dinner cruises, and a variety of special event and holiday cruises. All cruise information is available on the Portland Spirit website. Contact the sales office for your next cruise on the Columbia River: 1-503-224-3900 or 1-800-224-3901. Built in Hood River, Oregon by Nichols Boat Works and launched in 1983, our authentic triple-decker paddle wheeler provides 360 degrees of breathtaking vistas. The Sternwheeler Columbia Gorge is operated by The Portland Spirit. 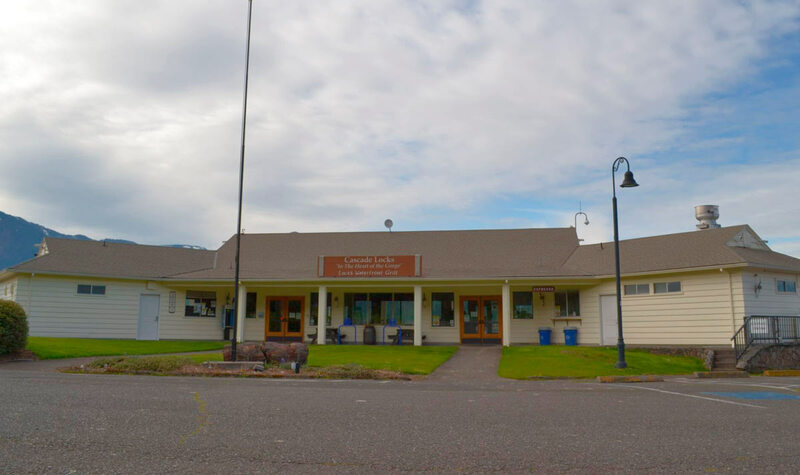 The Visitor Center and Locks Cafe, located in the Cascade Locks Marine Park, is the spot to book a cruise on the Columbia Gorge Sternwheeler and learn about the community. Inside the Visitor Center is a gift shop and the Locks Waterfront Grill (Menu), open for meals, coffee, or a snack from 10:30am to 6:00pm daily, May to October. Call for seasonal opening dates (800)224-3901. Restaurant phone (541)645-0372.